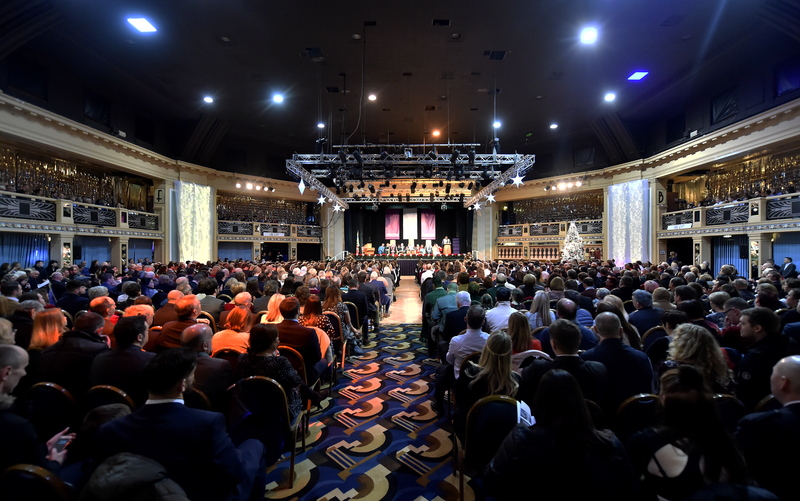 Aberdeen’s Beach Ballroom was filled with applause and cheering yesterday as hundreds of new graduates both celebrated their achievements and prepared to enter the world of work. Proud students who completed courses at Robert Gordon University’s schools of Nursing and Midwifery, and Pharmacy and Life Sciences were recognised when they were handed their diplomas. The beachfront venue was packed once again for the third such ceremony in two days, following the presentation of certificates in the fields of law, business, art and architecture on Tuesday. Among those celebrating was 40-year-old Barry Wright, who took to the stage to collect his Bachelor of Nursing, which focused on mental health. 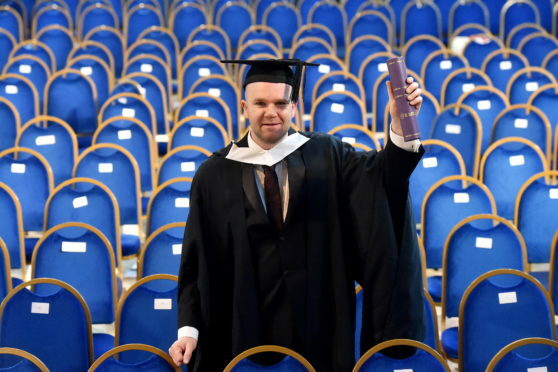 It marked the end of a 21-year educational journey for the nurse from Lerwick, who was actually graduating from RGU for the second time in his life. “I had gone to Gray’s School of Art to study fine art and printmaking, and that finished back in 2001,” he said. Mr Wright admitted he was “quite reluctant” to make the change at first, but quickly realised it was the best way to reach his career goals. The Beach Ballroom was transformed with Christmas decorations for the RGU graduation ceremony. He added: “I wasn’t sure about it at this age and with a young family on the way. “But, in order to progress beyond my care worker role and to better care for people, it was my best option. Following his final placement, Mr Wright secured his first full-time nursing position and now works as a staff nurse in an adult acute ward in Aberdeen. He said: “It still feels surreal that my time at RGU has ended again and I’m not quite over thinking that there’s another assignment somewhere to complete.